Last week Zooniverse, the crowdsourced citizen science service, launched a side project to its Planet Four Mars exploration project. Planet Four: Craters asks armchair space explorers to map craters present in images from the Mars Reconnaissance Orbiter’s CTX and HiRise cameras. What does it mean for amateurs? Crater-counting has an important role in the history of citizen science. The modern era of online crowdsourcing began at the turn of the century when scientists at Nasa’s Ames Research Center and the University of Central Florida created Clickworkers. They posted images from the Viking Orbiters to a website and asked the public to circle the craters they saw. By averaging the responses together, the wisdom of the crowd settled on locations and sizes that matched catalogs created by top planetary scientists. Clickworkers might have remained a curiosity if crater catalogs weren’t so important. Geologists can study Earth’s history by digging through layers of sediment, measuring isotope ratios, and taking other direct measurements. Planetary scientists don't have that luxury. They must trace an object’s history by studying one of the few things that changes over billions of years - asteroid impacts. Smooth, relatively crater-free regions like the Moon’s maria must have formed relatively recently. Fields of densely-packed, overlapping craters on the other hand may have been geologically inert for billions of years. Catalogs of crater densities lets planetary scientists map the geological history of terrestrial planets, moons, and asteroids. But creating those catalogs isn’t easy. Older craters are half buried by debris and partially obliterated by more recent impacts. On top of that, craters on different worlds don’t look the same. Different gravities, atmospheres, and erosion sources alter the size, shape, and frequency of craters. Automated software struggles with the task so humans have to do it. 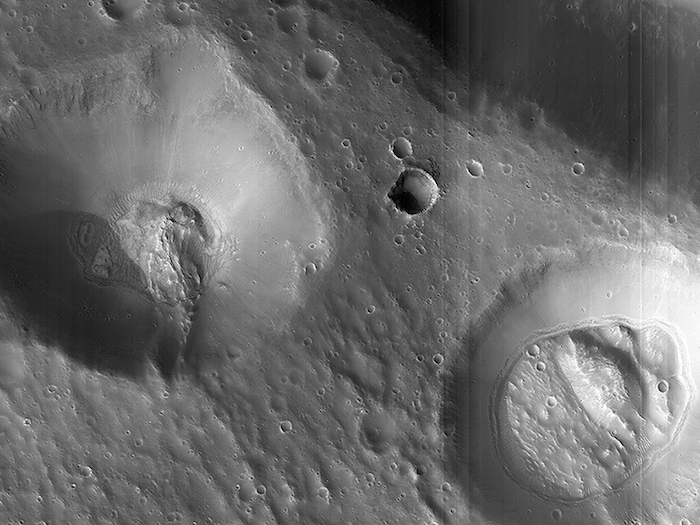 When the Viking Orbiter images of Mars reached Earth, scientists and graduate students spent months mapping the craters. Fortunately, Clickworkers showed that the public has both the time and the combined skill to produce the crater catalogs faster and more accurately than the professionals. Moon Zoo became the first of the modern crater-counting citizen science projects when it launched in 2009. Participants analyse the high resolution images from the Lunar Reconnaissance Orbiter to map craters and other features on the Moon’s surface. Planet Four: Craters represents a return to crater-counting for Zooniverse after a six-year hiatus. Moon Mappers also uses LRO images but has a different scientific focus than Moon Zoo. Mercury Mappers uses images from Nasa’s Messenger spacecraft to map the first planet. Vesta Mappers uses never-before-seen images from Nasa’s Dawn spacecraft to map the almost-planet between Mars and Jupiter. So explore other worlds. Map their craters. Help these projects by giving them your clicks. Producing solid science is a great way to ensure citizen science gets the respect it deserves. Of course a donation would be OK too - just because these projects use Nasa data doesn't mean they get Nasa money. If you like what you’ve read, why not make a contribution of your own? Send me feedback on articles you’ve read or suggestions for amateur projects to promote. Thanks!